Parkinson’s Disease is a designer disease without any glamour or style. Unique to each owner is a brew all of its’ own. Put a room full people with this illness all together and you’ll see an array of symptoms of varying combinations but you probably won’t encounter any two exactly alike. 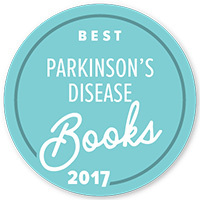 Parkinson’s Disease, for all the research, press, and money that has gone into this disease, frankly, has not come that far. There are medicines to stabilize patients for only so long, risky and invasive brain surgeries that may temporarily delay or reduce some symptoms, and some therapies that assist sufferers in retaining their voice and mobility, but the breakthrough that was promised 20 plus years ago when I was diagnosed has yet to come. If each one of has such a unique case, maybe that means each of us has a unique combination of triggers that set the course for this development. If that is the case and we set the parameters either genetically and/or emotionally, it just may be within our reach to find our own cure. As radical as it may sound, I whole-heartedly believe that our bodies, given the right information and regimens, an openness to self-discovery, and a willingness to change just may lead our bodies to healing themselves. Combined with Western medicine and Eastern therapies, a proper balance of physical and mental conditioning can, does, and will reverse or at least improve the damage of illness. 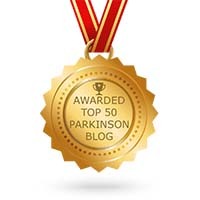 My long journey with Parkinson’s has led me down some dead-ends but I have seen successes. 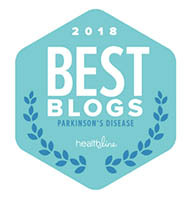 In my hunt for healing and therapeutic answers to improving my condition, I have seen Reiki (see posting 28) make the largest impact on this disease. Amazingly, the scientific community shies away from testing this therapy so it is conveniently discounted and dismissed. As a Reiki practitioner and Reiki Master (in a 1 year training program), it is my belief and hope that anyone reading this posting strongly consider that an open-mind and a willingness to help yourself can lead you to the answers and assistance that you seek. This is my journey and I wish you well on yours!